^ Stephens, Challen. A look at the languages spoken in Alabama and the drop in the Spanish speaking population. AL.com. 2015-10-19 [2016-09-21]. ^ State of Alabama. The Battle of Gettysburg. [2014-07-21]. ^ Cheehahaw. NGS data sheet. 美国测地局（英语：U.S. National Geodetic Survey）. [2011-10-20]. ^ 6.0 6.1 Elevations and Distances in the United States. United States Geological Survey. 2001 [2011-10-21]. （原始内容存档于2011-10-15）. ^ Alabama Transportation Overview (PDF). Economic Development Partnership of Alabama. [2017-01-21]. 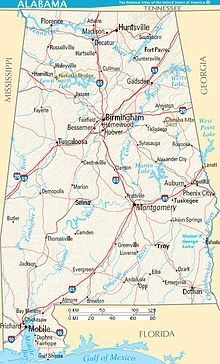 ^ Alabama. QuickFacts. United States Census Bureau. [2012-09-22]. （原始内容存档于2012-09-10）. ^ Thomason, Michael. Mobile: The New History of Alabama's First City. Tuscaloosa: University of Alabama Press. 2001: 2–21. ISBN 0-8173-1065-7. ^ Alabama Occupational Projections 2008-2018 (PDF). Alabama Department of Industrial Relations. State of Alabama. [2012-09-22]. （原始内容 (PDF)存档于2013-01-17）. ^ 12.0 12.1 12.2 Read, William A. Indian Place Names in Alabama. University of Alabama Press. 1984. ISBN 0-8173-0231-X. OCLC 10724679. ^ Sylestine, Cora; Hardy; Heather; and Montler, Timothy. Dictionary of the Alabama Language. Austin: University of Texas Press. 1993 [2017-08-27]. ISBN 0-292-73077-2. OCLC 26590560. （原始内容存档于2008-10-24）. ^ 16.0 16.1 Wills, Charles A. A Historical Album of Alabama. The Millbrook Press. 1995. ISBN 1-56294-591-2. OCLC 32242468. ^ Griffith, Lucille. Alabama: A Documentary History to 1900. University of Alabama Press. 1972. ISBN 0-8173-0371-5. OCLC 17530914. ^ and possibly Alabahmu. [來源請求]。來自美洲原住民語言的州名在美國相當常見，估計有27個州名來自於此 Weiss, Sonia. The Complete Idiot's Guide to Baby Names. Mcmillan USA. 1999. ISBN 0-02-863367-9. OCLC 222611214. ^ 19.0 19.1 Rogers, William W.; Robert D. Ward; Leah R. Atkins; Wayne Flynt. Alabama: the History of a Deep South State. University of Alabama Press. 1994. ISBN 0-8173-0712-5. OCLC 28634588. ^ 21.0 21.1 Swanton, John R. Review of Read, Indian Place Names of Alabama. American Speech. 1937, 12 (12): 212–215. JSTOR 452431. doi:10.2307/452431. ^ William A. Read. Southeastern Indian Place Names in what is now Alabama (PDF). Indian Place Names in Alabama. Alabama Department of Archives and History. 1994 [2011-10-03]. ^ Bright, William. Native American placenames of the United States. University of Oklahoma Press. 2004: 29–559. ISBN 0-8061-3576-X. ^ Welch, Paul D. Moundville's Economy. University of Alabama Press. 1991. ISBN 0-8173-0512-2. OCLC 21330955. ^ Walthall, John A. Prehistoric Indians of the Southeast-Archaeology of Alabama and the Middle South. University of Alabama Press. 1990. ISBN 0-8173-0552-1. OCLC 26656858. ^ Townsend, Richard F. Hero, Hawk, and Open Hand. Yale University Press. 2004. ISBN 0-300-10601-7. OCLC 56633574. ^ edited by F. Kent Reilly III and James F. Garber ; foreword by Vincas P. Steponaitis. F. Kent Reilly and James Garber, 编. Ancient Objects and Sacred Realms. University of Texas Press. 2004. ISBN 978-0-292-71347-5. OCLC 70335213. ^ 31.0 31.1 Alabama History Timeline. Alabama Department of Archives and History. [2013-07-27]. ^ 32.0 32.1 Thomason, Michael. Mobile: The New History of Alabama's First City. Tuscaloosa: University of Alabama Press. 2001: 61. ISBN 0-8173-1065-7. ^ Clark, Thomas D.; John D. W. Guice. The Old Southwest 1795–1830: Frontiers in Conflict. Albuquerque: University of New Mexico Press. 1989: 44–65, 210–257. ISBN 0-8061-2836-4. ^ Hamilton, Peter Joseph. Colonial Mobile: An Historical Study of the Alabama-Tombigbee Basin and the Old South West from the Discovery of the Spiritu Sancto in 1519 until the Demolition of Fort Charlotte in 1821. Boston: Hougthon Mifflin. 1910: 241–244. OCLC 49073155. ^ Cadle, Farris W. Georgia Land Surveying History and Law. Athens, Ga.: University of Georgia Press. 1991. ^ 37.0 37.1 Pickett, Albert James. History of Alabama and incidentally of Georgia and Mississippi, from the earliest period. Charleston: Walker and James. 1851: 408–428. ^ The Pine Barrens Speculation and Yazoo Land Fraud. About North Georgia. [2013-07-27]. ^ Old St. Stephens. Encyclopedia of Alabama. Auburn University. [2011-06-21]. ^ Huntsville. The Encyclopedia of Alabama. Alabama Humanities Foundation. [2013-01-22]. ^ GCT-PH1-R. Population, Housing Units, Area, and Density (areas ranked by population): 2000. Geographic Comparison Table. U.S.Census Bureau. 2000 [2006-09-23]. ^ NGS Data Sheet for Cheaha Mountain. U.S. National Geodetic Survey. [2011-06-08]. ^ Alabama Forest Owner's Guide to Information Resources, Introduction, Alabamaforests.org 互联网档案馆的存檔，存档日期2015-04-27. 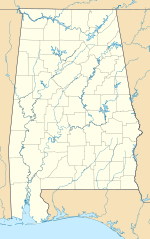 ^ Alabama County (geographies ranked by total population): 2000. Geographic Comparison Table. U.S. Census Bureau. 2000 [2007-05-14]. （原始内容存档于2008-10-11）. ^ National Park Guide. Geographic Search. Washington, D.C: National Park Service – U.S. Department of the Interior. [2006-09-23]. （原始内容存档于2006-09-30）. ^ Wetumpka. Earth Impact Database. University of New Brunswick. [2009-08-20]. ^ King, David T., Jr. Wetumpka Crater. Encyclopedia of Alabama. 2010-04-23 [2011-12-13]. ^ Encyclopedia of Alabama: Climate. University of Alabama. 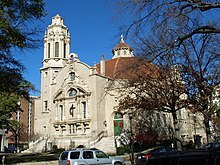 2007-08-17. ^ 53.0 53.1 Alabama Climate. Encyclopædia Britannica. [2010-10-24]. ^ Lightning Fatalities, Injuries and Damages in the United States, 2004–2013 页面存档备份，存于互联网档案馆. NLSI. Retrieved April 26, 2014. ^ Oliver, Mike. 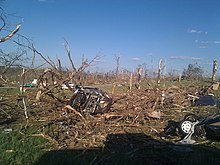 April 27's record tally: 62 tornadoes in Alabama. al.com. [2012-11-04]. ^ Record high and low temperatures for all 50 states. Internet Accuracy Project. accuracyproject.org. [2012-11-03]. ^ Climatography of the United States No. 20 (1971–2000) - Huntsville Intl AP, AL (PDF). National Oceanic and Atmospheric Administration. 2004 [2011-07-06]. （原始内容 (PDF)存档于2011-07-06）. ^ Climatography of the United States No. 20 (1971–2000) - Birmingham Intl AP, AL (PDF). National Oceanic and Atmospheric Administration. 2004 [2011-07-06]. （原始内容 (PDF)存档于2011-07-06）. ^ Climatography of the United States No. 20 (1971–2000) - Montgomery Dannelly AP, AL (PDF). National Oceanic and Atmospheric Administration. 2004 [2011-07-06]. （原始内容 (PDF)存档于2011-07-06）. ^ Climatography of the United States No. 20 (1971–2000) - Mobile Rgnl AP, AL (PDF). National Oceanic and Atmospheric Administration. 2004 [2011-07-06]. （原始内容 (PDF)存档于2011-07-06）. ^ Lee, McDowell. Alabama's Legislative Process. State of Alabama. 2009. （原始内容存档于2011-01-02）. ^ 68.0 68.1 Judicial Selection in the States: Alabama 互联网档案馆的存檔，存档日期2014-10-06., American Judicature Society. ^ 70.0 70.1 Rebecca Buckwalter-Poza. With Judges Overriding Death Penalty Cases, Alabama Is An Outlier. NPR.org. 2014-07-27 [2016-07-21]. 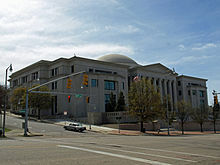 ^ Supreme Court Reverses Another Alabama Death Penalty Case. EJI. 2016-06-21 [2016-08-03]. ^ Wet-Dry Map 页面存档备份，存于互联网档案馆, Alabama Alcoholic Beverage Control Board. ^ United States Census Bureau. State and County Quick Facts. [2012-02-25]. （原始内容存档于2012-02-26）. ^ 76.0 76.1 Table 1. Annual Estimates of the Resident Population for the United States, Regions, States, and Puerto Rico: April 1, 2010 to July 1, 2015. U.S. Census Bureau. 2015-12-26 [2015-12-26]. （原始内容 (CSV)存档于December 23, 2015）. ^ 2010 Census Interactive Population Search. 2010.census.gov. [2014-12-29]. ^ Exner, Rich. Americans under age 1 now mostly minorities, but not in Ohio: Statistical Snapshot. The Plain Dealer. 2012-06-03. ^ Data on selected ancestry groups (PDF). Google. [2011-06-01]. ^ Alabama – Selected Social Characteristics in the United States: 2006–2008. Factfinder.census.gov. [2010-10-24]. ^ Ancestry of the Population by State: 1980 – Table 3 (PDF). [2012-02-10]. ^ Historical Census Statistics on Population Totals By Race, 1790 to 1990, and By Hispanic Origin, 1970 to 1990, For The United States, Regions, Divisions, and States 互联网档案馆的存檔，存档日期2014-12-24. 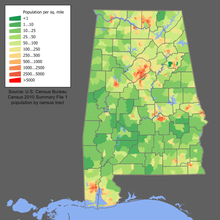 ^ Population of Alabama - Census 2010 and 2000 Interactive Map, Demographics, Statistics, Quick Facts - CensusViewer. censusviewer.com. [2015-07-21]. ^ Center for New Media and Promotions(C2PO). 2010 Census Data. census.gov. [2015-07-21]. ^ 93.0 93.1 Alabama – Languages. city-data.com. [2015-07-21]. ^ " Alabama – Languages. city-data.com. [2015-07-21]. ^ Religion in America: U.S. Religious Data, Demographics and Statistics – Pew Research Center. Pew Research Center's Religion & Public Life Project. 2015-05-11 [2015-07-21]. ^ Table 1086. Top U.S. Ports by Tons of Traffic: 2009 (PDF). U.S. Army Corps of Engineers. [2013-07-22]. ^ U.S. Waterborne Container Traffic by Port/Waterway in 2011 (Loaded and Empty TEUS). U.S. Army Corps of Engineers. [2013-07-22]. （原始内容存档于2013-11-03）.